Railfuture Scotland has laid out a "bold vision" for the Grampian network. An MSP has made a fresh call for rail links to the north-east to be restored. Stewart Stevenson has backed the idea of developing a suburban line in Edinburgh. 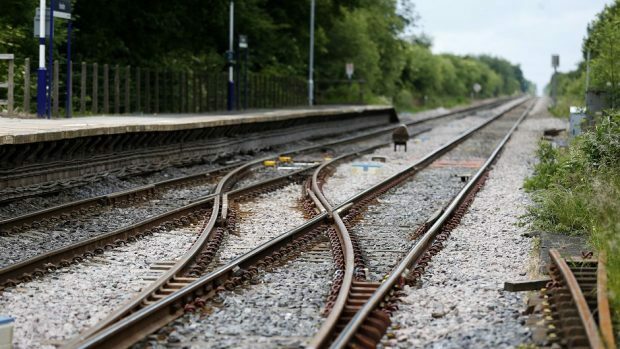 But the Banffshire and Buchan Coast MSP said his support for the project in the capital was conditional on serious consideration being given to reinstating a railway connecting his constituency to Aberdeen. Mr Stevenson, who serves as the honorary president of the Scottish Association for Public Transport, is among those campaigning for a rail service to be introduced serving Fraserburgh, Peterhead and Ellon to ease traffic congestion on the region’s roads. It is hoped that any new line would also open up economic opportunities for the area. Mr Stevenson said: “I cannot talk about railways in Edinburgh without making the point that none of the communities in my constituency is anything less than an hour-and-a-half bus ride from a railhead. Liberal Democrat MSP Alison McInnes has also called for the north-east not to be overlooked in the City Region Deal. In October, regional transport body Nestrans revealed seven options being considered to improve links between Aberdeen and outlying towns which could be partially funded from the city deal. One is the reopening of the railway from Dyce north into the Buchan area, which would cost an estimated £100million. Railway historian David Spaven has described Buchan as the “forgotten corner”.